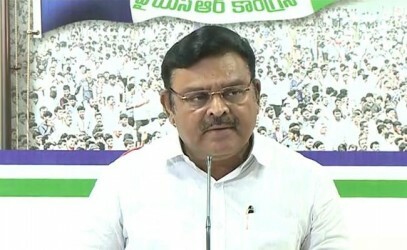 Official spokesperson of the YSR Congress party (YSRCP) Ambati Rambabu said the TDP had come to a near zero in Telangana and a similar situation would be replicated in Andhra Pradesh. The people of Telangana taught a fitting lesson to the two parties, TDP and the Congress, after Chandrababu donned the role of a Congress treasurer in the election. Ambati said the TRS benefited from the negativity on Chandrababu's alliance with the Congress. Responding to Chandrababu's allegations of the TRS's failure in delivering on a few promises, the YSRCP leader demanded to know the TDP's comment on the 600 election promises it made in 2014. The YSRCP spokesperson further said Chandrababu tried to influence voting with Lagadapati Rajagopal's survey. He demanded a probe into Chandrababu's pact with the former MP.